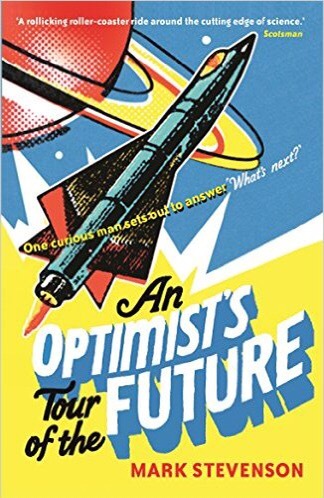 I’ve just finished belatedly reading An Optimist’s Tour of the Future by Mark Stevenson. I say “belatedly” as it was written in 2011 which wouldn’t normally be a problem except that this is about accelerating future technologies (and why they are going to be good for us). It was a very good read, but already there are signs it is getting dated. Take this example. He’s meeting Ray Kurzweil who is telling him about exponential growth in technologies, which he argues can allow us to make pretty accurate forecasts of the future. Noting that some critics believe Kurzweil is either delusional or mad he discusses the forecasts which Kurzweil made in his 1999 book The Age of the Spiritual Machines about the technology which would be available in 2009. Kurzweil himself says, of the 108 predictions, 89 turned out to be correct, 13 are “essentially correct”, three are partially correct and two are 10 years off. Stevenson makes his own tally. He concludes he got nearly two thirds right. Of the rest he put half in the “sort of right” category (it came true but not quite as Kurzweil anticipated). Except of course that by the time I’m reading this it now has come true. That fact that ‘John’ is John Seely Brown, formerly director of PARC (the Palo Alto Research Center) which famously invented laser printing and the mouse, should give us pause. The fact that in five years Kurweil’s “wrong” forecast has turned out to be true should also.